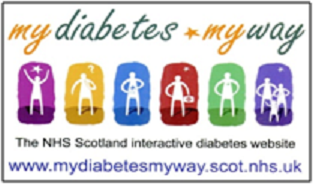 There are leaflets, videos, educational tools and games containing information about diabetes on the website. Patients can now also use this website to view their own up-to-date diabetes clinic results to help manage their condition more effectively. Over 7,500 patients have now accessed their diabetes records using this service. Recent analyses show that results such as HbA1c, weight and blood pressure improve following use of MDMW. Patients also report improved knowledge of diabetes and motivation to manage it effectively. Take a look at my diabetes my way.